Inspiration sometimes comes from unexpected places. Who would have thought that a cardiologist trying to improve his medical diagnostic system would inspire Shunyata founder Caelin Gabriel to push forward the state of the art in AC power conditioning for audio systems? That doctor, whose days were filled with analyzing and interpreting the tiny electrical signals emitted by the heart, spent his evenings enjoying music through a high-end system. Discovering that Shunyata’s Triton AC conditioner improved the low-level resolution of his audio system, he surmised that the Triton may allow him to more clearly see the heart’s tiny electrical signals in a clinical setting. When the doctor plugged his heart-monitoring equipment into the Triton he immediately saw a reduction in background noise, which made the heart signals clearer and easier to interpret. Shunyata learned of this discovery and visited the doctor to see firsthand this unexpected new application of its technology. Gabriel returned to the lab with a mission to develop new techniques that would push the noise floor down even further than was realized in the Triton. Gabriel succeeded, with this research path leading him to develop AC power-conditioning systems specifically for the medical field. With more than 30 demonstration systems installed in hospitals around the world, Shunyata finds itself in a new business. In December the products received medical-grade certification, which will allow Shunyata to commercialize the technology through a newly formed subsidiary, Clear Image Scientific. Shunyata’s website offers more details on the medical-grade conditioner, along with a video showing the effect of the power conditioner on the equipment used to look at heart signals (“Reducing Noise Levels in Electrophysiology Medical Procedures”). The technology developed for the medical-grade AC conditioners was soon applied to audio conditioners, specifically the new Denali series reviewed here. There are three models in the Denali line. The D6000T is a tall and narrow floor-mounted conditioner with six outlets in a vertical array (the “T” signifies “tower”). The D6000S offers identical features and performance, but is designed for conventional horizontal shelf mounting (the “S” denotes “shelf”). The D2000T is a floor-mounted device with two outlets designed exclusively for power amplifiers. All have aluminum chassis, with the “T” models featuring an aluminum base-plate and heavy-duty vibration-resistant footers. Prices are $4995 (D6000T), $3995 (D6000S), and $3495 (D2000T). The D6000T and D6000S offer identical internal parts and performance. The D2000T’s noise isolation is less elaborate that that in the six-outlet models, and is based on a Shunyata technology designed specifically for powering components with high-current draw, such as power amplifiers. How is the Denali series different from Shunyata’s previous flagship conditioner, the Hydra Triton? At the heart of the Denali series are new “CCI (Component to Component Interference) Filters” that Gabriel developed for the medical industry. These new filters trap noise, preventing it from appearing on your system’s AC power line or from getting into your components. The new CCI filters are not only smaller, but also reportedly significantly more effective than the Noise Isolation Chambers used in the Triton. Shunyata claims (and has the measurements to prove it) that the Denali series has 36dB greater noise reduction than the Triton (for a total of 60dB at 1MHz). This additional 36dB of noise reduction turns out to be crucial in medical imaging, lowering the noise floor and allowing cardiologists to more clearly see the heart’s electrical impulses. Shunyata had offered a companion product to the Triton called the Typhon, which was simply a massive bank of first-generation Noise-Isolation Chambers. The Typhon plugged into the Triton via an umbilical cord (the Typhon had no AC outlets) to increase the amount of noise filtering. Housed in the same-sized chassis as the Triton, the Typhon did indeed render an improvement in low-level resolution, finer gradations of micro-dynamics, and a greater sense of space. I even tried plugging a Typhon into the unused outlet of the duplex that powered my system; it just sat there in parallel with the AC line acting as a noise sink (no Triton or audio components connected to the Typhon). Even that made a difference in my system. 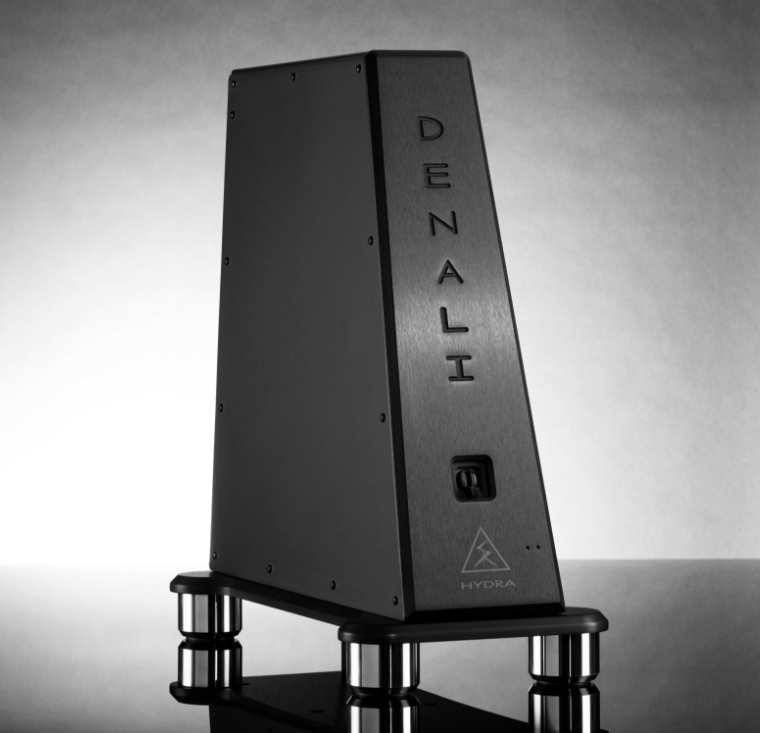 The new CCI filters developed for the medical-imaging AC conditioners and now in the Denali series render moot the need for an outboard chassis containing additional Noise Isolation Chambers (the Typhon). The CCI filters in the D6000T and D6000S are reportedly more effective than the combination of the Triton and Typhon. The CCI filters reduce the noise on the AC line, and isolate the audio components from each other. Noise generated by one component is filtered out rather than put back on the AC line where it would get into the other components in your system. Specifically, the D6000T’s (and D6000S’s) six outlets are divided into three zones. The CCI filters are arrayed to provide maximum isolation between Zones 1 and 2. The third Zone (designated “HC” for “high current,”) is designed for power amplifiers and is filtered by Shunyata’s patented “QR/BB,” circuit rather than by the CCI filters. QR/BB is a technology Shunyata developed in 2001 and has been refining since. Using no inductors or capacitors, QR/BB reportedly allows amplifiers to draw more instantaneous current from the wall outlet than is possible without QR/BB. Zones 1 and 2 are rated at 15A continuous each, with Zone 3 rated at 20A continuous.